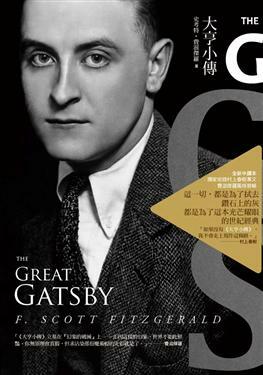 Given the prominence of "Gatsby" brand men's hair products over there, I can't claim that F. Scott Fitzgerald's doomed literary icon of the American Dream goes totally unrecognized in Japan. But according to Haruki Murakami, the country's best-known living novelist, "Japanese readers have never truly appreciated The Great Gatsby." This he ascribes, in an essay (read it online here) from the new collection In Translation: Translators on Their Work and What It Means, to the datedness, despite the excellence, of most Japanese-language editions of the book. "Although numerous literary works might properly be called 'ageless,'" he explains, "no translation belongs in that category. Translation, after all, is a matter of linguistic technique, which naturally ages as the particulars of a language change. Thus, while there are undying works, on principle there can be no undying translations." When someone asks, “Which three books have meant the most to you?” I can answer without having to think: The Great Gatsby, Fyodor Dostoevsky’s The Brothers Karamazov, and Raymond Chandler’s The Long Goodbye. All three have been indispensable to me (both as a reader and as a writer); yet if I were forced to select only one, I would unhesitatingly choose Gatsby. Not sure where you got that picture, but the text is in Chinese, not Japanese.